Under the eyes of the law, animals that live in our homes or on a farm are 'property.' But there's a growing movement to grant some animals like chimpanzees, elephants and dolphins 'non-human persons' status. Harvard Law School doctoral candidate Jessica Eisen thinks the law could do even better than that. "We know on some level that animals are not the same thing as a chair or a rock. But for most legal purposes that's their status," says Eisen, who is finishing her dissertation at Harvard University (and is already an assistant professor at the University of Alberta's law school). "My impression is that most people, when they see images of intensive agricultural confinement operations, are made uncomfortable by it. It doesn't feel right." One legal strategy that's gained traction in the United States is to argue that some animals deserve the status of "non-human persons." "Just as a lot of human civil rights work of the last 200 years has been to move all human beings from the status of being a 'thing' to being a person, the non-human rights project has begun the process of moving as many non-human animals species as we can from the legal status of 'thing' to 'person'," says lawyer Steven Wise, founder and director of the Nonhuman Rights Project. He and other animal rights activists point out it took decades, even centuries, of activism for women, enslaved Africans, and others who weren't white men to be granted legal status as persons in European and North American countries. Since 2013, Wise and his team have represented four chimpanzees and four elephants in a bid to secure personhood status for the animals. "These animals are treated as slaves," says Wise. "A sentient being, especially a very sentient being, will suffer terribly and we do not think that they should suffer." Elisabeth and Eric Bzikot have farmed all of their lives and have reared dairy sheep for 20 years. As the founders of Best Baa Dairy, they base their practices on the "Five Freedoms", a core text for animal welfare advocates. 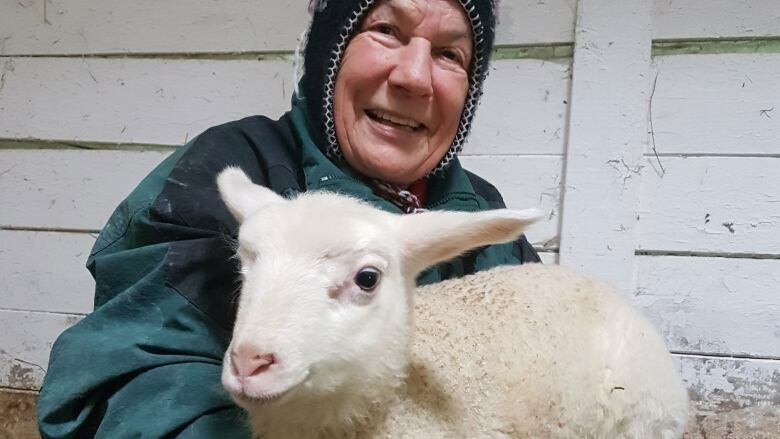 They do consider their sheep as their property, but also underscore their responsibility to care for the animals' physical and emotional needs. "It's a responsibility, as you have responsibility for children," says Elisabeth Bzikot. 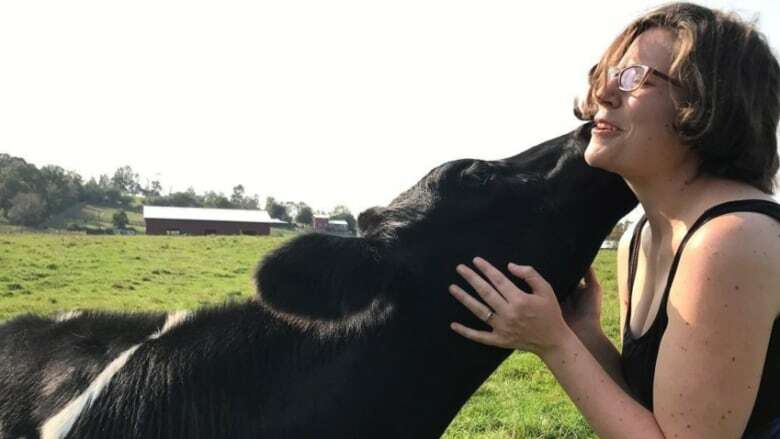 Unlike at conventional dairy farms, the Bzikots switched to a system in which the infant animals continue to bond with their mothers after dairy milking begins. The lambs spend part of each day in a separate area of the barn, allowing farmers access to some of the ewes' milk. The Bzikots believe allowing the bonding between lamb and ewe benefits both animals practically and emotionally. Eisen thinks abiding by the Five Freedoms code is a step in the right direction. "I think one of the reasons that the five freedoms have been so powerful ... is that they really are responsive to some sort of assessment of what animals value," says Eisen. Eisen explores how the law's relationship with animals could better suit people's moral intuitions. She argues it might require a new legal category, separate from 'property' and 'personhood'. For example, University of Victory law professor Maneesha Deckha suggests a category called "beingness." "It would be a model similar to how we think of children today, deciding in their best interests," says Deckha. "We do that for human beings who cannot communicate or children or teenagers who may be articulating themselves, but we still supplement the reasoning they have. Humans would make the decisions but from a different starting point, not the interests of the property owners but the interests of the animals themselves." Jessica Eisen is a doctoral candidate at Harvard Law School and assistant professor at the University of Alberta's faculty of law. Louise Jorgensen and Anita Kranjc are animal rights activists with the Toronto Cow Save and Toronto Pig Save movements. Steven Wise is a lawyer and founder of the Nonhuman Rights Project. His clients include Tommy, a chimpanzee. Elisabeth and Eric Bzikot are dairy sheep farmers who founded Best Baa Dairy. They follow the Five Freedoms code of practice. Maneesha Deckha is a Professor of Law at the University of Victoria. **This episode is part of our ongoing series, Ideas from the Trenches. It was produced by Nicola Luksic and Tom Howell.